All of the Jazzy pups have been matched with their forever families, so we will turn our attention to the next litter which is Paige’s puppies. 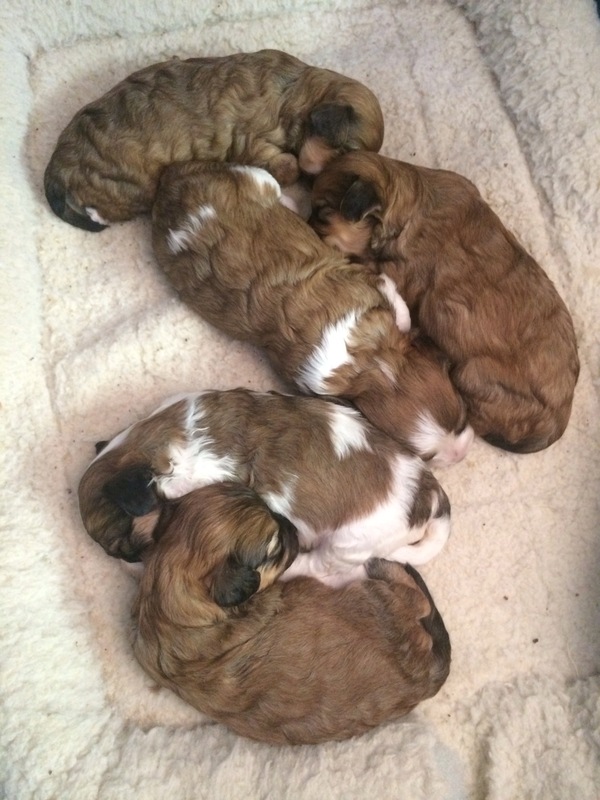 One pup has already been matched, but there are still 4 available puppies in this litter. We are working first with our waiting list, but chances are there could be an available male puppy since there are several males. 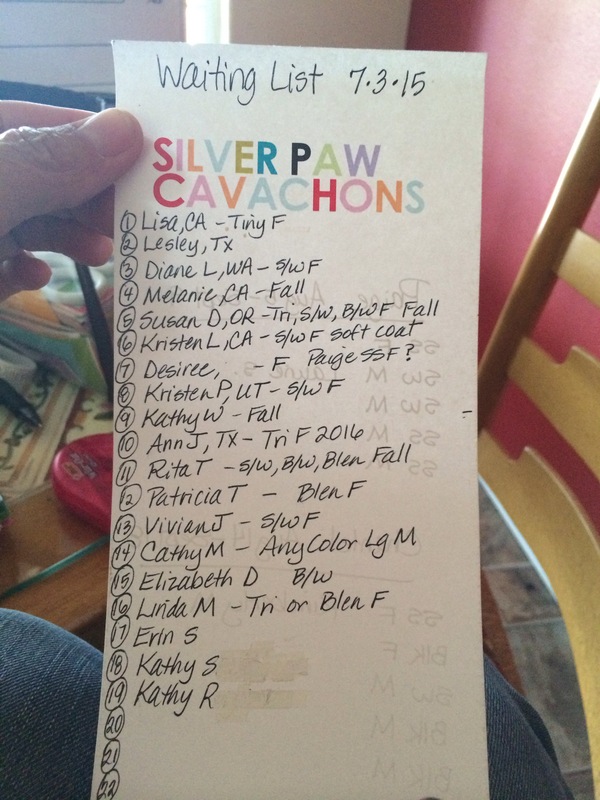 If you’re not on the wait list and might be interested in a male pup, send us an email at silverpawcavachons@gmail.com. These puppies are 3 1/2 weeks old right now and you can find their 2 week old video on our Facebook page. My goal is to do a weekly video till they’re 6 weeks old and then I will do some extras for the actual puppy selection time. They will be ready to go home from August 5- September 9. Also, these puppies are solid and will be a healthy 16-20 lbs as adults. What I need to know for pre-selection is if you are interested in being on the sub wait list for the Paige puppies. This simply means that you would like to be included in my communication regarding this litter specifically and you have a potential interest in one of these puppies and you’d like more info. If this litter does not have the right color/size/gender, or the timeline doesn’t work with your schedule, please let me know you’d like to pass. This is my most current waiting list. Many of you told me fall, so I’m assuming you are a pass on this litter even though as Accelerated puppies they will be ready in the fall (September 9th). If you have said “fall” but you will be ready sooner, just let me know. Also, those of you that are new on the list, if you see your name with nothing beside it, I’d like a few more details on what you’re looking for, so please shoot me an email. If your name is not on this list, it is because your deposit has not arrived yet. I’m looking forward to working with each of you! The Paige pups are truly gorgeous and watching them grow will be fun for all of us!